Safinus is a platform that makes it possible for new cryptocurrency investors to join new and highly profitable ICO and cryptocurrency portfolios. It also provides an easy way for experienced investors to add to their managed capital, while funds and their traders have a wider pool of clients to attract. According to the website, the mission of Safinus is to make it easy for more people to access profitable investments in crypto assets, while also providing an avenue for professional market players to increase their managed assets (and by extension, their potential profits. The portfolio manager begins by investing his own funds. From there, the trader is free to manage his own portfolio through investing funds and managing trades on ICOs and cryptocurrencies. Safinus provides potential investors with the ability to view a trader’s portfolio. They can judge its profitability, and they can decide on whether to join him or not. Assets are managed by the portfolio manager through the Safinus platform, although transactions can also be transferred to third-party exchanges in the event of insufficient orders. 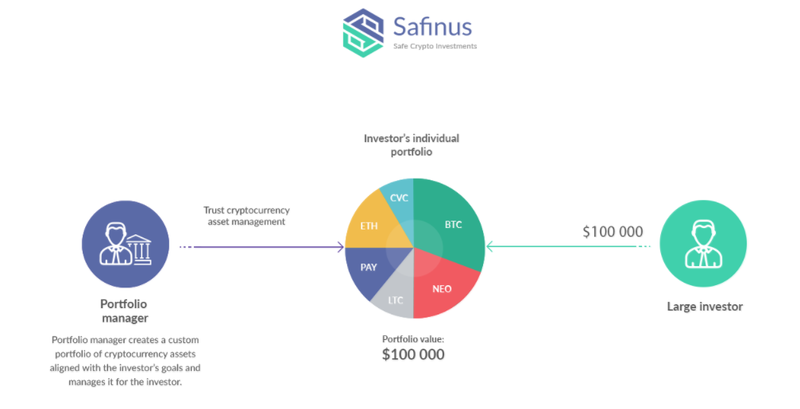 With Safinus, the portfolio manager is able to understand the investor’s goals, create a portfolio of cryptocurrency assets based on those goals, and manage it effectively. It is mandatory that the asset or ICO passes through the community of portfolio managers. When it is able to receive a majority vote, it is cleared, and funds can be invested into it. Through its API, the Safinus platform is incorporated into much larger cryptocurrency exchanges. This means that portfolio managers can now access much more orders and seal profitable deals for the investor. The SAF token is a token that is used by portfolio managers to pay fees and commissions that comes with the usage of the Safinus platform. Usage of the token is in similar fashion to other tokens. Please note that in order for you to launch a portfolio on the Safinus platform, you will need to have at least 200 SAF tokens. Also, the platform is to receive a commission of 10% on every profit that a trader makes from investor funds. As at the time of the ICO, a SAF token will go for $1. The pre-sale stage has already been completed (as it ran from January 23rd to February 14th). The ICO sale itself will hold between May 2nd to June 2nd, and all unsold tokens will be burned. Easy investing: Investing through the Safinus platform just takes a few clicks. You don’t need to have a deep understanding of the inner working mechanism of blockchain, cryptocurrency, or even ICO mechanisms. It is easy and automated. The world of cryptocurrency investing is one that should ideally not be entered into with levity. 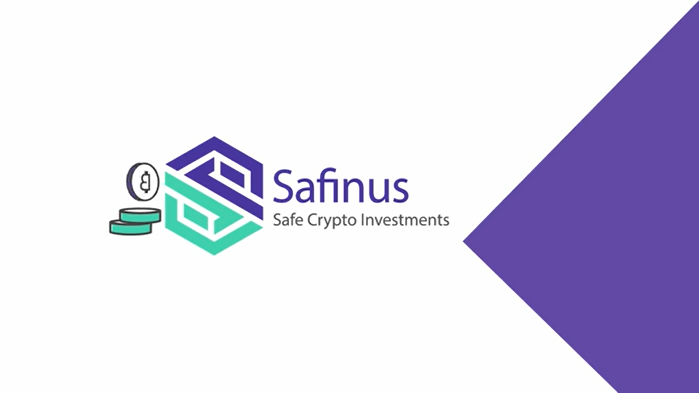 However, thanks to an effectively-handled system and the ever-increasing acceptance of crypto assets around the world, Safinus is making it increasingly easy to make investments and get maximum profits in the crypto asset market.